Calling all Girls that are JUNIORS in High School . . .
ALAHGS is a nationally recognized prestigious youth leadership and civics engagement program held each year in the summer just following junior year. Every state in the U.S. has one- and every state sends two girls (free of charge) to D.C. to represent their own state at ALA Girls Nation in July. ​​Applications for 2019 Session is now closed. GO TO ApplicantsApplicants Page TO APPLY TODAY ! What is ALA Hawai'i Girls State? 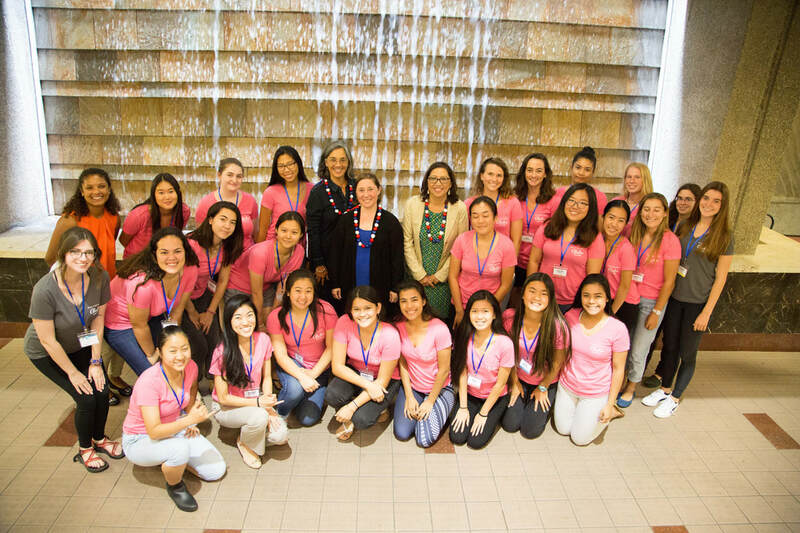 The American Legion Auxiliary Hawai'i Girls State (ALAHGS) is a premier youth leadership and civics program for females that are in their junior year of high school. This multi-day program is a consensus building, nonpartisan immersion experience with an inside look into how Hawai'i state government works while developing leadership skills & an appreciation for citizen rights. As a participant in the program you, will run for office, learn public speaking, create and enforce laws and actively participate in all phases of creating and running a working government in this exciting and fun summer program. You’ll meet other students from across your state who will become friends for life. You’ll develop confidence and leadership skills that will shape your future. Applications are open for the Summer 2019 Session! Please be sure to review tab completely. We are honored by the corporate sponsorship that shows our community believes in their youth!